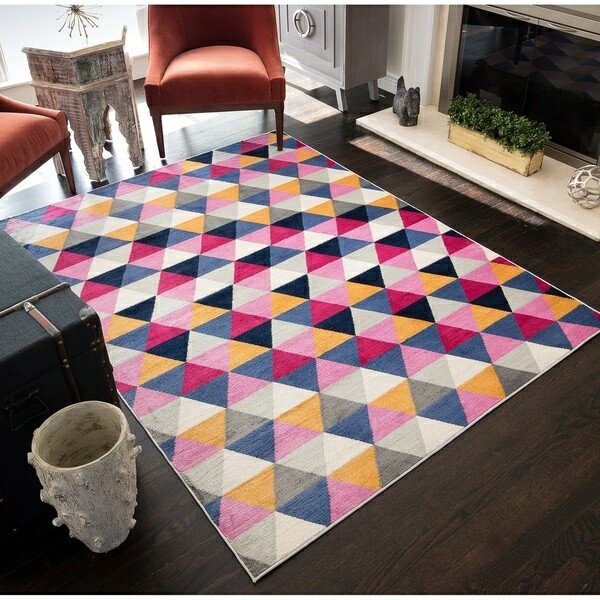 The Tessa rug is all about those '70s vibes and a game-changing geometric print. Angular meets ethnic in this Exotic Collection style comprised of technicolor triangles. The Tessa is bold, energetic, and unapologetic; we're diggin' its uniform print, sassy mix of hues, and vintage look. This one is a party girl's dream come true.